We are approaching the middle weeks of May which means, we are enjoying the last stretch of Summer 2015. Can you believe that I have never been to the beach this Summer yet? Moving on from that sad note, I am so glad to be on a spontaneous trip with fellow bloggers to visit a friend's hometown, Sison in Pangasinan. The only part of Pangasinan that I visited is Manaoag Church eventhough I heard beautiful stories about Bolinao and other not-so-popular tourist destinations in the province. I'm sure 100 Hundred Islands crossed your mind while reading this. We've been told about this attraction since we were in grade school but quite honestly, the place has not lived up to the hype made by elementary textbooks. My friends, who love to travel, have reminded me to not expect too much from this go-to place at the Lingayen Gulf. For this random trip, however, I felt excited to pay it a visit. I will show pictures to give you an initial feel of what the place really looks like. If you want to swim, I say don't expect the Hundred Islands to give you the same relaxing experience that you have enjoyed in the long stretches of white sand like in Boracay, Palawan or in other popular beaches. These islands are basically made of white rocks so the shore is rough. The shore area has limited space and these islands can be very crowded during a long weekend. Water sports like kayaking, snorkeling and jet skiing can be done here, however, the availability of facilities are limited. There are no restaurants in the islands too so you have to bring your own food and water, most especially. 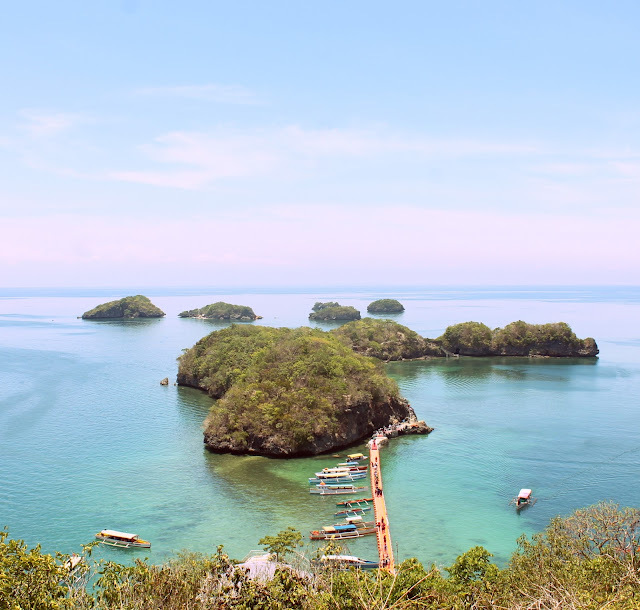 The last thing that you can expect in Hundred Islands is luxury. The jump-off point from Lingayen City to these islands have not been developed.